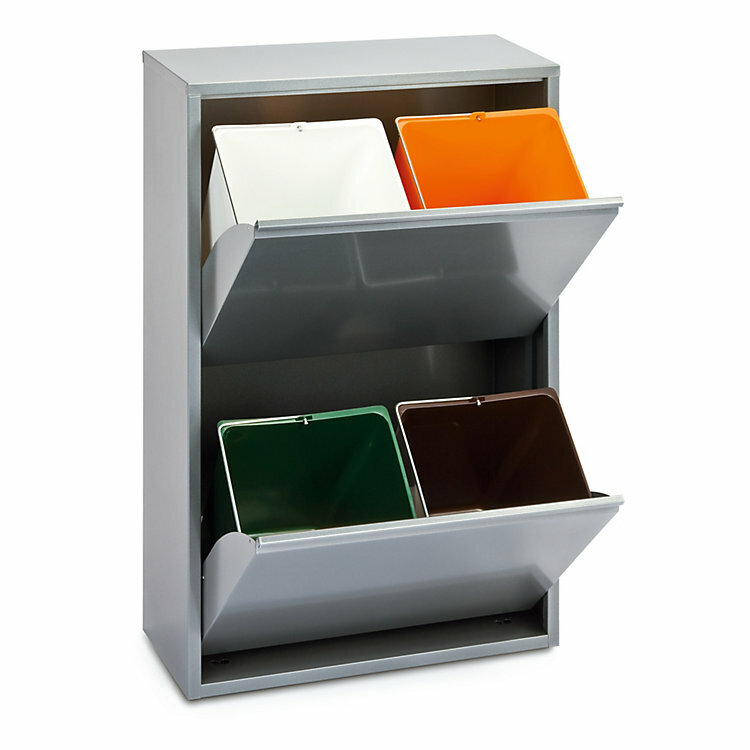 Sheet steel cabinet with four plastic dustbins, each with 13.5 l volume. For indoor use only. Painted silver-grey. Height 92 cm, width 60 cm, depth 25 cm. Weight 11.5 kg. Colour-coded. Waste sorting made easy. Rubbish or resource? The distinction may well be in the eye of the beholder. Either way, in order to do the sorting, the beholder will need suitable containers—like these, for example.